Asatu is a dancer, mother, Midwife, health educator and Kemetic yoga Instructor. 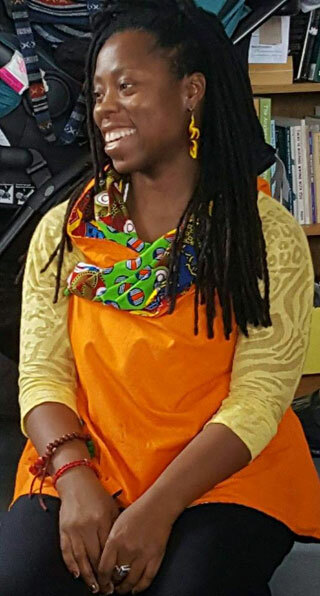 In addition to being a Co-founder of Luna Nueva Wellness Colletive, Asatu has close to 20 years experience working in the Oakland community as one of the few midwives of color. Asatu is the founder and director of Sacred Grove Traditions an Oakland-based, international public benefit organization committed to assisting girls and women of African-descent in developing a healthy lifestyle through education about holistic and alternative methods of self-care and wellness, providing advocacy and education about Midwifery and alternative birth options and developing Rites of Passage for young girls and young women.